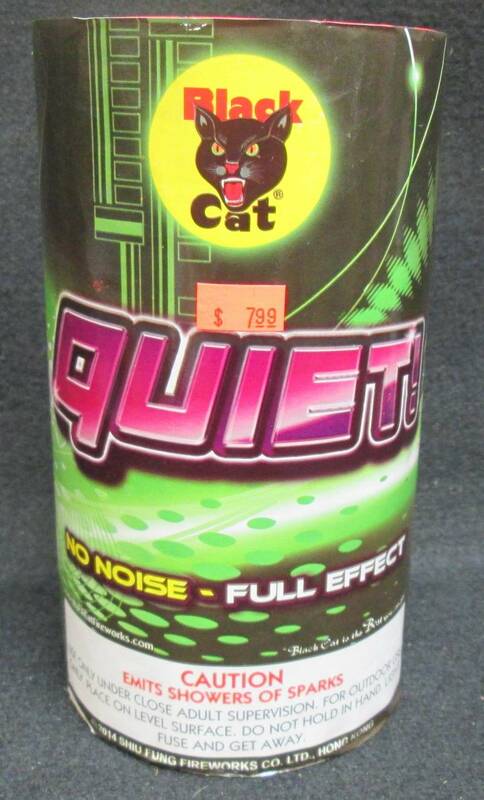 Quiet! is a mob scene of color and action: red, purple, and green sparks, with gold pine needles and silver chrysanthemum effects. It’s mayhem without the noise.